Two more Ancient Carpet Fragment, 3rd - 6th century. 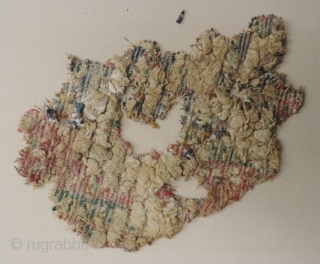 Part of the same group of early pile carpet fragments seen in the Al-Sabah Collection. (See Friedrich Spuhler, Pre-Islamic Carpets and Textiles from Eastern Lands (Al-Sabah Collection)" This weaving group is described in that publication as being from "Eastern Iran" and from the "Sasanian Period". 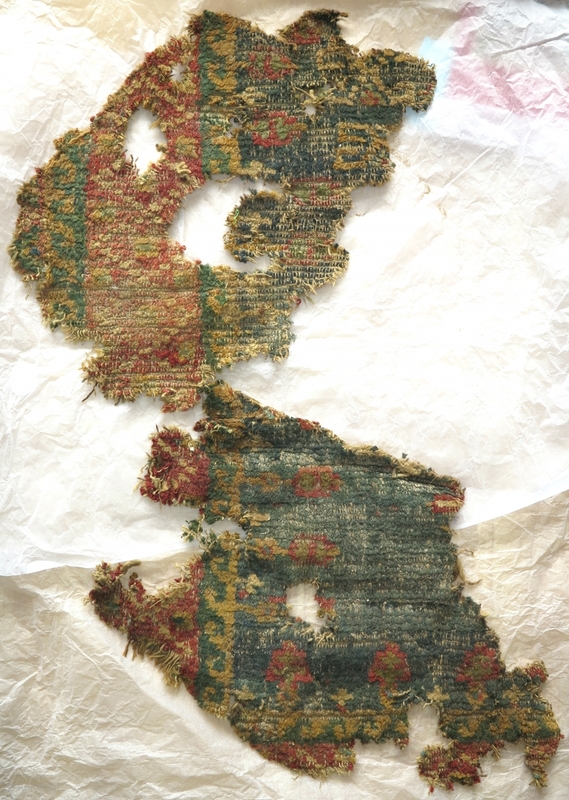 Provenance is given as "reportedly Samgan Province, northern Afghanistan". However, the only conclusive excavation spot for this distinctive material that i know of is Loulan in Xinjiang. 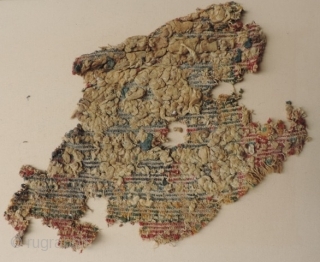 While the dating for this material is likely correct, a "Sasanian" description is thus less certain. Indeed, the animal imagery seen within this group seems particularly devoid of Sasanian iconographic conventions or related Bactrian or even Sogdian models. More likely this ditinctive group is from a weaving center in eastern Central Asia within the current political borders of Xinjiang province. Interestingly, the red/pink seen in these two particular fragments reads as either lac or another insect derived dye. The vast majority of other fragments from the group seem to use a madder red.